A century ago, World War One had been over for a few months, and the League of Nations, precursor to the present-day United Nations, was founded. However, with its weak membership and inability to prevent the Second World War, the League of Nations was ultimately unsuccessful, and after some two decades of an uneasy peace, Hitler’s Third Reich began its invasion of Poland, marking the opening to a second global conflict. 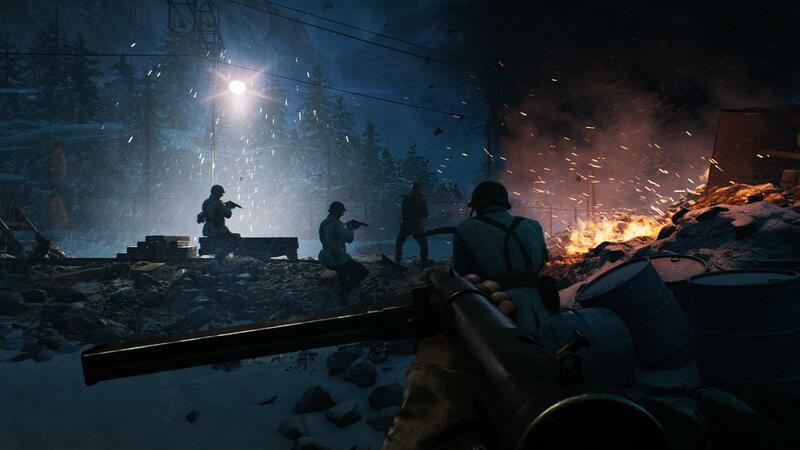 DICE chooses to explore the hidden conflicts of World War Two in Battlefield V, and its campaign similarly reflects on the battles and achievements undertaken by those far removed from the Beaches of Normandy, Dunkirk, Northern Africa and in the Pacific Islands: like Battlefield 1, Battlefield V‘s campaign is broken up into war stories that portray different perspectives in the Second World War, and this particular mission is unique in that it is shown to all individuals before they can enter Battlefield V proper, taking players on a journey to a variety of locations across Battlefield V as a bit of a prelude into the game proper. 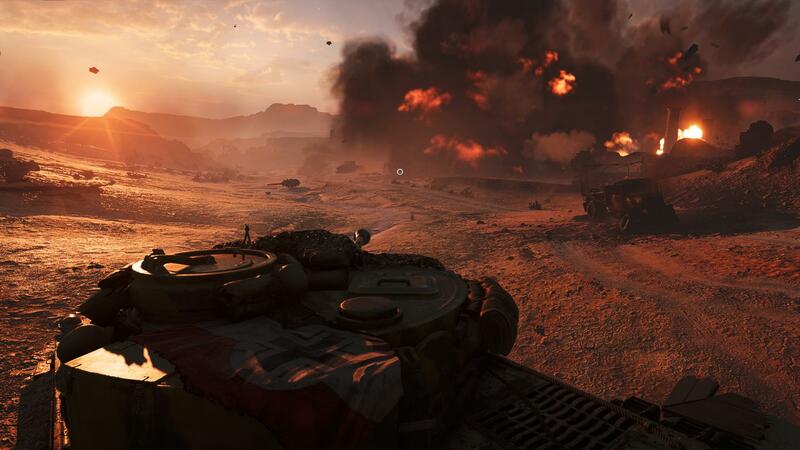 Battlefield V‘s campaign is short, focused and intended as a warm-up act for the multiplayer; the prologue mission is mandatory, and while it is beautifully-made, lacks the same intensity and desolation seen in Battlefield 1‘s first mission. 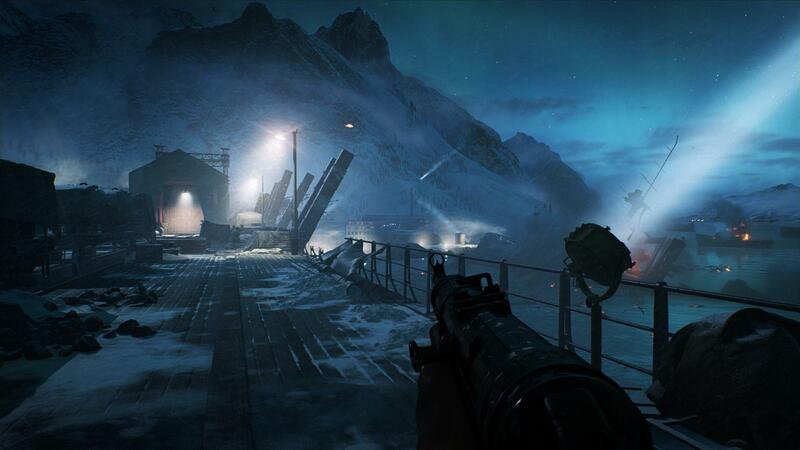 The first segment players experience is a night raid on Narvik in 1940, during which British forces landed here with the aim of capturing the town for its strategic value in accessing iron ore. While the British ultimately smashed the German fleet and took the town, the Allied forces would soon pull their forces out to deal with German forces in Belgium, the Netherlands, Luxembourg and France. This quick invasion and withdraws meant that the fronts on Norway are often forgotten in the grand scheme of things. 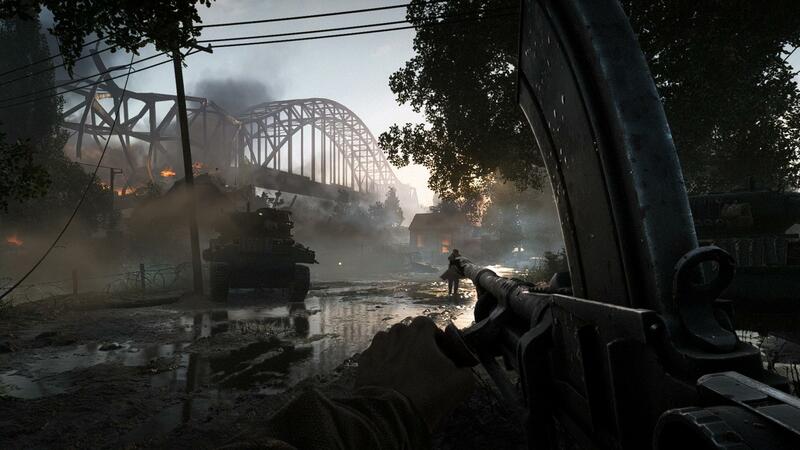 The bridge soldiers cross here is a central location in the Narvik map, serving to house the bravo and delta points on conquest. Players experience armoured warfare from Peter Müller’s perspective in the prologue’s second act. Müller operates a Tiger I here, but the Siege of Tobruk occurred in 1941, and the Tiger I did not enter service until 1942. Furthermore, Müller mentions fighting American forces here, when the Americans did not enter the War until December 1941 after Pearl Harbour. I’m not too sure if this was an oversight or not; while Battlefield has traditionally been authentic in its campaigns, it has taken some creative liberties here and there. I will have a chance to operate a Tiger I in the ruined streets of Berlin in the final stages of the war during The Last Tiger mission later down the line, and historical accuracy notwithstanding, the chance to operate a Tiger I the way it’s meant to be operated, within the Frostbite Engine ended up being a fun experience. The reason why I decided to come back and write about Battlefield V‘s campaign is because the missions themselves are each stunningly beautiful, and in addition to this, also have unique themes to each that I can write about. The prologue is the only real exception, and so, this post is present for completeness, but is otherwise shorter than the others will be. I’ll be writing about each mission as I find the time to over the next few months. 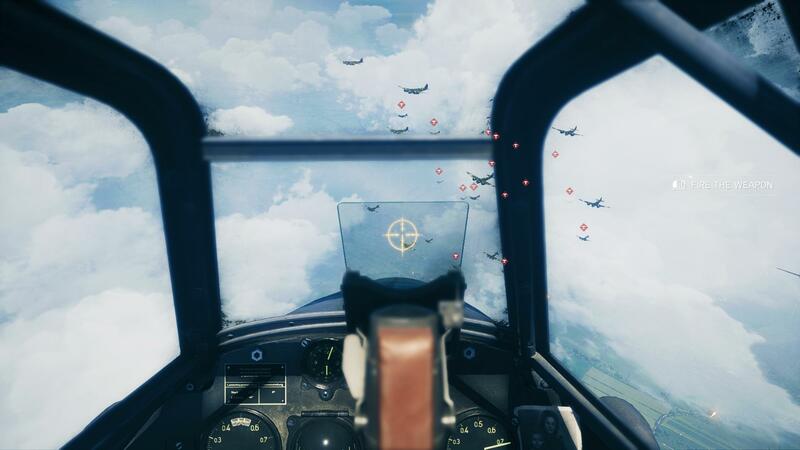 While sniping here, the players get blasted by a Bf 109. 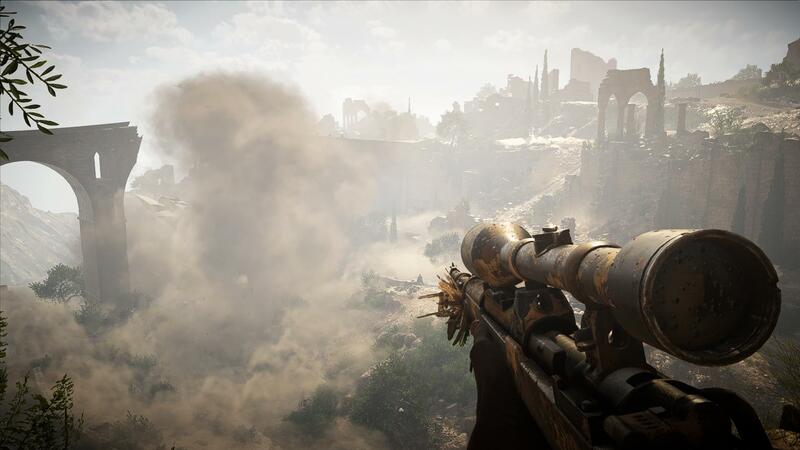 Overall, sniping in Battlefield V requires a ways more skill than it did in Battlefield 1 for the multiplayer, but the level of difficulty in the campaign remains largely unchanged. I generally prefer weapons with some sort of sights or optics in the multiplayer, since that makes them considerably easier to use, but in the campaigns, weaker AI means that running iron sight weapons isn’t too bad. 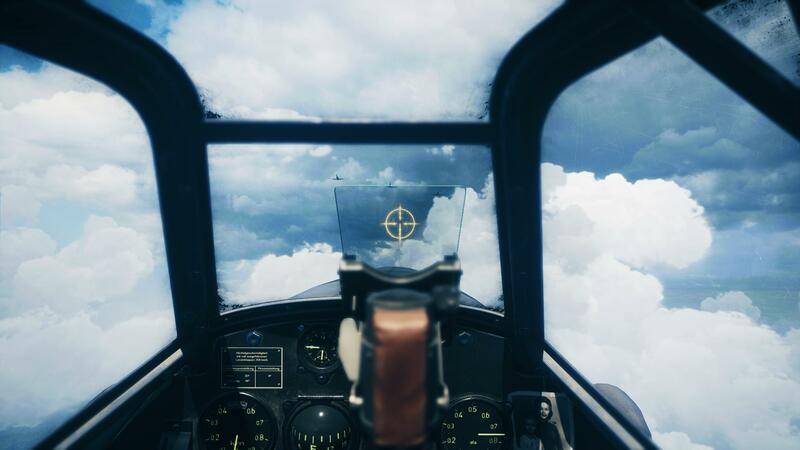 While it’s only for a few brief moments, players actually get to take the helm of a Bf 109 and freely fly through the skies, engaging British bombers and fighters. Of the missions in the prologue, this segment is the most exciting and fun to play. The Messerschmitt Bf 109 was a staple of the Luftwaffe known for its sophistication and performance, and owing to its versatile air-frame, was adapted into a range of different roles. I considered Battlefield 1‘s campaign a bit of a protracted tutorial of sorts for the multiplayer, giving players access to enough experiences so that they could be somewhat familiar with the mechanics of multiplayer. The same can be said to hold true for Battlefield V‘s campaign, which I ended up finding to have the most open-ended options one could take towards completing their missions. The last segment of the prologue is set in the Netherlands, set from the perspective of a soldier fighting through the Battle of Nijmegen. In spite of the losses, the Allies would prevail here. I do not believe that the Germans ever used a V-1 here: the V-1s were primarily intended to target the British islands, but as the war turned against the Axis powers, they also used them to strike targets of strategic value, such as airfields, in Belgium and the Netherlands. With the prologue over, I immediately headed over to the multiplayer and began ranking up my soldiers, preferring to play the campaign missions through once The Last Tiger had released. Similar to Battlefield 4, there is incentive to play the campaign through in its entirety because of the special melee weapons and tank skin one can get for going through each mission and doing it to completion. With this introductory post finished, I will be going through each of the missions as I have done for previous iterations of Battlefield. 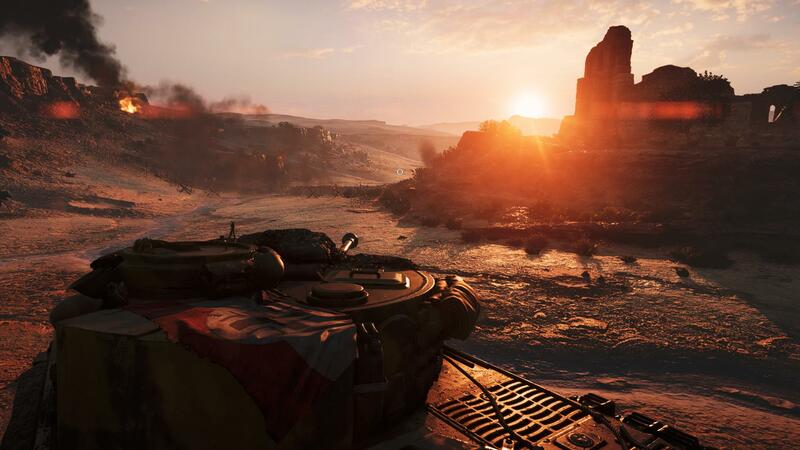 Each of the snapshots in Battlefield V‘s first mission are set in a different year of the Second World War: the Raid of Narvik Dock is from 1940, while tank commander Peter Müller’s experiences in 1941 are shown at Tobruk. In 1942, Senegalese Free French Forces at Kasserine Pass take position over a bridge to provide sniper fire, but are killed when a Bf 109 strafes them. Over 1943 Hamburg, a Luftwaffe pilot engages British Blenheim bombers to defend the city but are shot down, and in 1944, British soldiers defend a position by Nijmegen Bridge, succumbing to advancing German forces when a V-1 rocket hits the area. 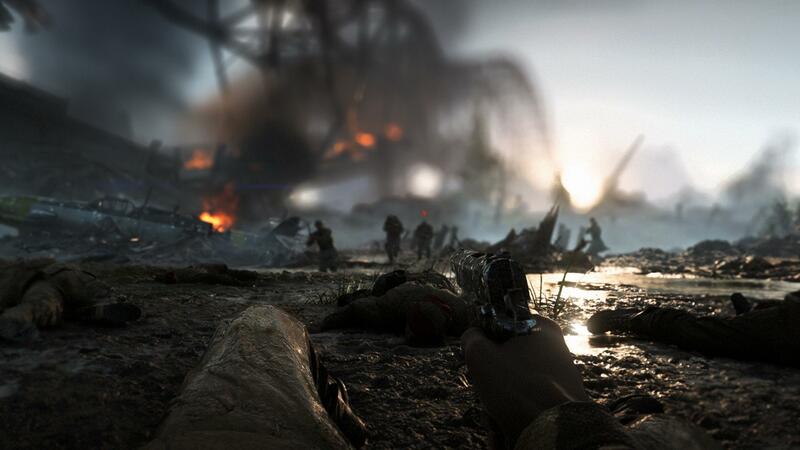 Unlike Battlefield 1‘s prologue mission, which switched between various perspectives of soldiers on the same battlefield, Battlefield V‘s opening shows that the game’s focus has changed from that of Battlefield 1: the older of the games sought to capture the grittiness and grimness of warfare, emphasising the loss of life and despair seen in the Great War. 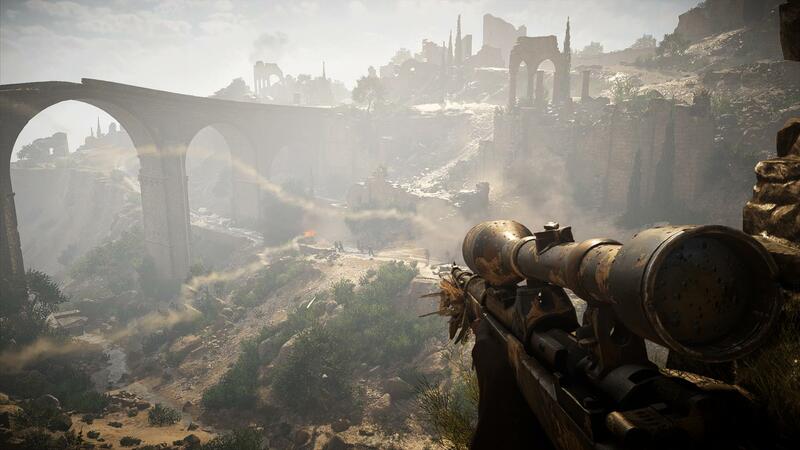 The newer instalment, on the other hand, shows the extent and scale of the Second World War: this much is apparent in the opening mission of the campaign, and the scope of World War Two is visible in the choice of maps and the Tides of War for multiplayer, as well. Presumably, this scale is meant to warm players up to the different content that Tides of War will provide.